What happens when a suspect throws drugs away and the cops find them? What happens when a suspect throws down drugs and the cops later find them? Where drug crime defendants / suspects throw drugs under their vehicles while being removed from the vehicle after a valid traffic stop, a court can rule that the suspect has "voluntarily abandoned" the drugs. A Florida Court has just ruled there was reasonable suspicion to justify a pat down where there was a traffic stop, the target appeared nervous, could not answer some of the officer's questions, had made a sudden U-turn into an oncoming traffic lane, and then parked facing the wrong direction just prior to the stop. The cop testified that the suspect had a pen clenched in his hand and the officer to believed it could be used as a weapon. "Florida Statutes (2012) (entitled “Stop and Frisk Law”), provides: Whenever any law enforcement officer authorized to detain temporarily any person under the provisions of subsection (2) has probable cause to believe that any person whom the officer has temporarily detained, or is about to detain temporarily, is armed with a dangerous weapon and therefore offers a threat to the safety of the officer or any other person, the officer may search such person. 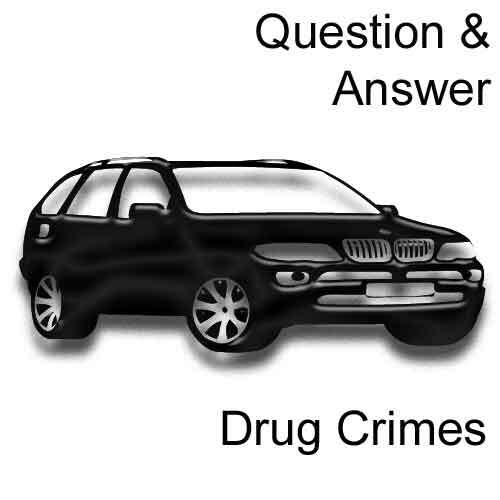 . . "
The Court ruled the policeman exceeded the scope of the pat down by searching the suspects sock, the drugs the guy tossed would have been "inevitably discovered" in the search incident to arrest based on the discovery of the drugs that he had abandoned under the vehicle. Defendant loses on the search but won because a problem with selection of jurors. grassy swale. Officer Olivo activated her lights and siren, exited her car, and began walking toward the car. Cole was the driver and only occupant of the car. As Officer Olivo headed toward Cole’s car, Cole began to exit his car. Officer Olivo told Cole to remain inside. Cole handed Olivo his license and registration, and Officer Olivo described Cole as very nervous, sweating and stuttering. In response to her questions, Cole told Officer Olivo he was going to meet a “good friend” who lived nearby, but when asked, Cole could not provide the friend’s name. Given Cole’s behavior, Officer Olivo requested backup." sweating, bouncing his legs up and down, and looked afraid. Both of his hands were clenched in fists, and he was tightly gripping an ink pen in his right hand. This caused concern for Officer Lobello, who believed that the pen was being held in such a way that it could be used as a weapon. Officer Lobello asked Cole to step out of his car so she could conduct a patdown search. She grabbed his wrist before he stepped out of the car and shook the pen out of his hand, then helped Cole out of the car. While taking him out of the car, Lobello twisted Cole’s arm and turned him around so he was facing away from her and toward his own car. As she turned him around, Officer Lobello saw Cole flick his wrist. Lobello saw dust rising from the dirt ground and believed Cole had thrown something under the car."